The railway has had a crucial part to play in the history of the Canadian west. 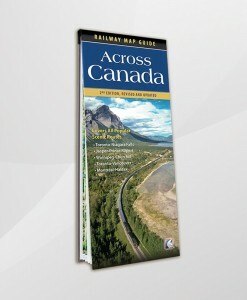 And when you travel on the First Passage to the West, from the Albertan city of Calgary to Kamloops in the heart of BC’s interior to Vancouver on the Pacific coast, you get as close as anyone can to retracing the steps of the 19th century explorers that negotiated the first routes for others to follow. Starting on the eastern side of the magnificent Canadian Rockies, this legendary route brings you through some of the region’s stunning scenery. See the open expanse of Fraser Valley, the thrilling narrow ways high above Fraser Canyon, and the famous Spiral Tunnels which have been crossing trains over themselves as they cross Kicking Horse Canyon since 1909. Also, see where the last spike on the Canadian Pacific Railway was driven in, at Craigellachie, BC,on November 7, 1885. The First Passage to the West is more than a history trail though. True, you can view the passing sights in comfort from your spacious Economy Class seats, or in their full panoramic glory from the upper level of the Dome car, but why not detrain at Lake Louise, a mecca for mountaineers, skiers and hikers, and immerse yourself in the great outdoors. And while you’re onboard, you can relax, enjoy gourmet meals in the dining car, all follow the First Passage to the West. 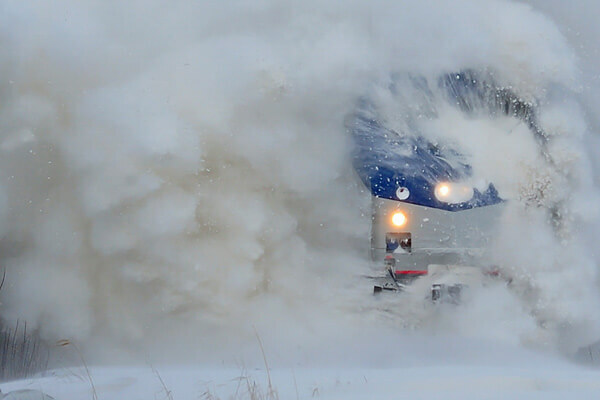 Plan your rail journey mile by mile. 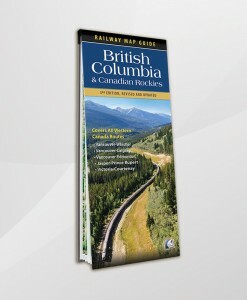 The award-winning British Columbia & Canadian Rockies: Railway Map Guide details all 5 routes in western Canada in full-colour, 3-D perspective maps. Buy your copy NOW!